HealthOne provides development services on a fee basis. The exact combination of services is dictated by your particular needs. Our services most often begin by assisting a practice to determine the type of development they want and need. 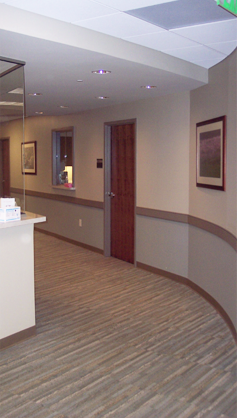 HealthOne can assist the practice with site selection and negotiation. An important service offered by HealthOne in conjunction with site selection is site evaluation which estimates the cost to produce a buildable “pad ready” site for each of the alternatives. This is extremely important to the development process because it minimizes the chances for costly surprises later in the process when development costs might negate what had been a favorable purchase price. Once a site is selected HealthOne can provide Predevelopment Management and Entitlement Assessment which evaluates a particular site’s suitability for the development contemplated. We provide Design Management services which flesh out the specifications and design parameters for the development. This process includes the selection of the architect and project engineer. Finally we offer Construction Management and Administration services which include the selection of contractor and involve oversight through the construction process. The flexibility we offer gives you the ability to structure the project and the ownership to fit your particular set of needs. Because HealthOne is not committed to a particular course of action, we are free to assess the needs of your practice, give your practice our unbiased opinion as to the best available alternatives, and provide whatever assistance you might need to get the project built.